Här har vi en HDMI/VGA/Audio sändare som skall väggmonteras. Val av källa kan väljas manuellt eller ställas in som "auto-switching" genom en knapp på vägguttaget. 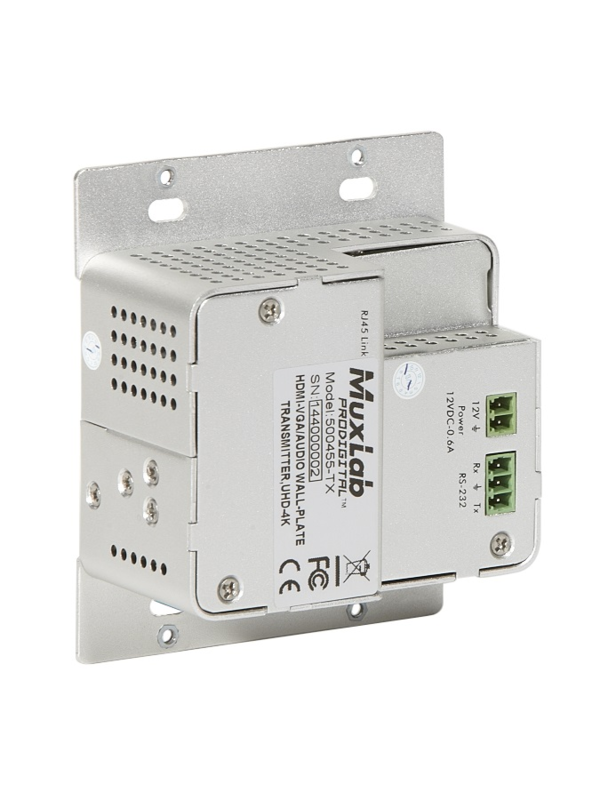 The HDMI – VGA/Audio Wall-Plate Transmitter is a Decora® style transmitter that installs in a double-gang wall box to provide a convenient interface for HDMI / VGA input sources. It has one (1) HDMI IN, one (1) VGA IN, one (1) Audio In and one (1) HDBaseT Out. It supports VGA with full HD scaler, and HDMI 1.4 with 4k& 3D, input signals support auto-switching and manual-switching. 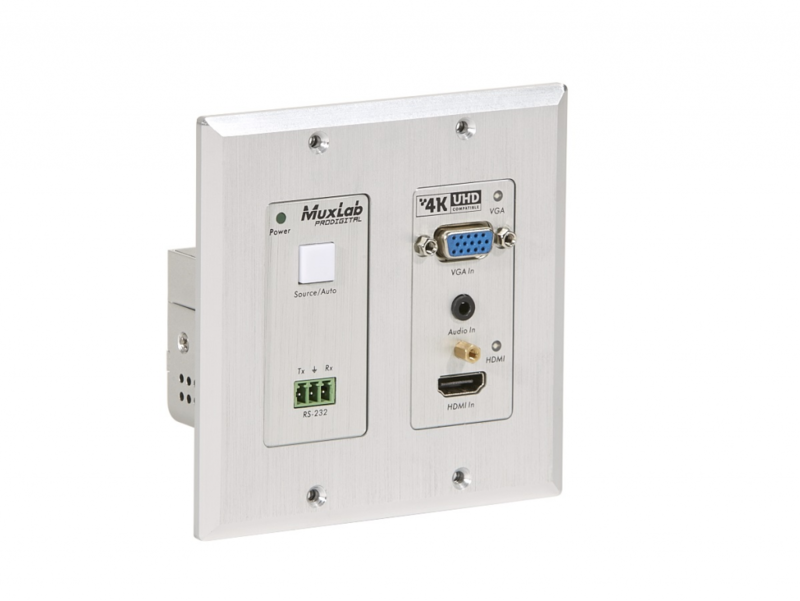 The HDBaseT output supports 60m UHD video transmission, enables bi-directional RS232 communication between HDMI – VGA/Audio Wall-Plate Transmitter and remote device. The unit is powered by a 12VDC Power Supply. 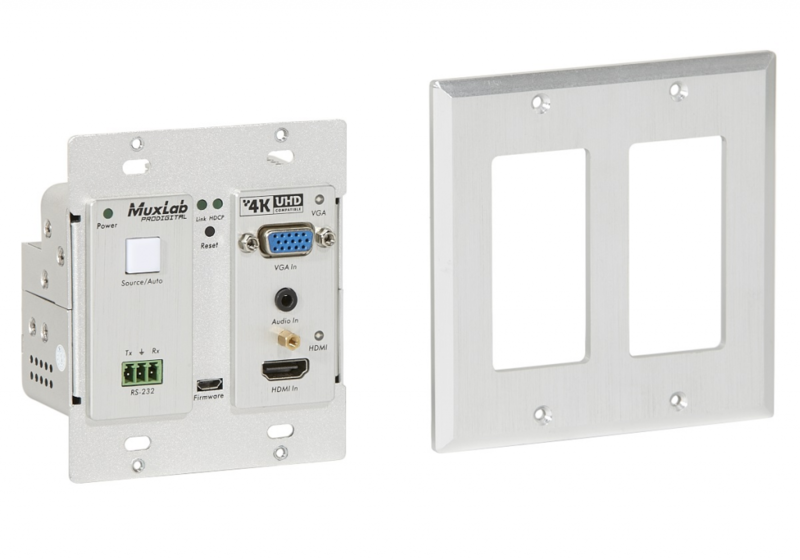 Note: Face-plate (model 500919) sold separately.